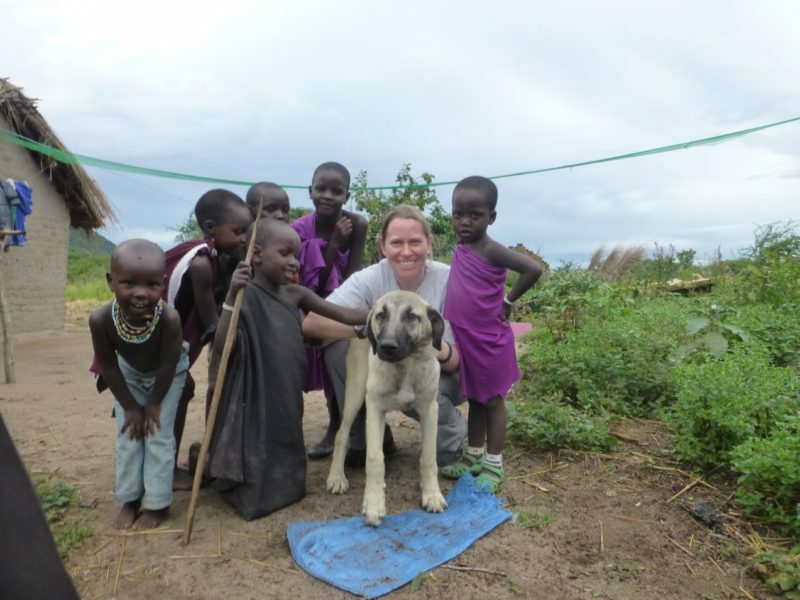 The Ruaha Carnivore Project was established in 2009 by Dr Amy Dickman, as a Kaplan Senior Research Fellowship under Oxford University’s Wildlife Conservation Research Unit (WildCRU). 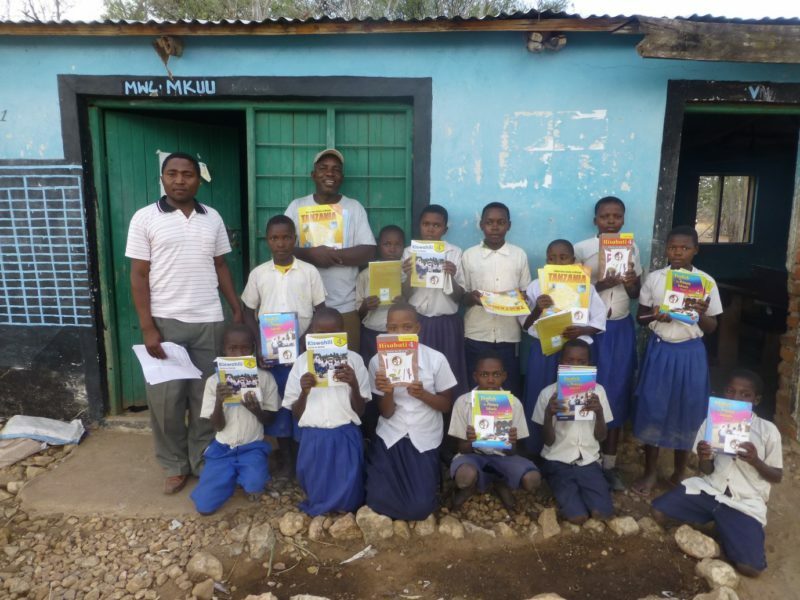 It began with Amy and two Tanzanian colleagues (Ayubu Msago and Alphonce Msigwa) living in tiny tents under a tree on the outskirts of Kitisi village, just outside Ruaha National Park. This location was important so that we could really live amongst the villagers, start to understand what people were dealing with living alongside these large but dangerous species, and get much more accurate information on the real magnitude of conflict and wildlife killing. Working closely within these communities revealed that there was an extremely high level of human-wildlife conflict and carnivore killing: in fact, our data showed that our core study area had the highest recorded rate of lion killing anywhere in East Africa. However, it could well be that similar levels of killings are occurring elsewhere, but without grassroots presence, it is very hard to detect and address. We found that the main reasons for killing carnivores were attacks on livestock, a lack of benefits from wildlife presence, and cultural traditions which encouraged young warriors to kill lions. This killing does not only affect lions – poison was often used to kill wildlife, with devastating effects on critically endangered species such as vultures. It is important to realise that much of this killing is legal, as people are allowed to kill wildlife to protect themselves and their livestock – and it is also understandable, almost no-one would be prepared to live alongside these animals under these conditions. It became obvious that the only way of having long-term conservation here would be changing the situation so that the benefits of wildlife presence for local people outweighed any costs. 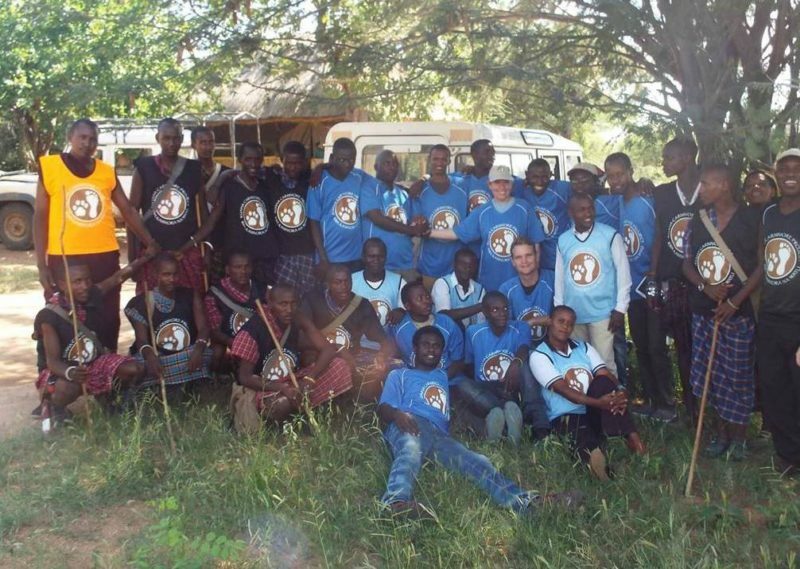 The mission of the Ruaha Carnivore Project is ‘To achieve successful human-carnivore coexistence by empowering local communities, and to develop effective strategies for long-term carnivore conservation’. We aim to reduce the costs and improve the benefits associated with wildlife, particularly carnivores, on village land, and directly engage and empower local people in conservation. We are also collecting the first detailed data on large carnivore conservation in this landscape, as this has been highlighted as a priority in regional and national carnivore conservation action plans. 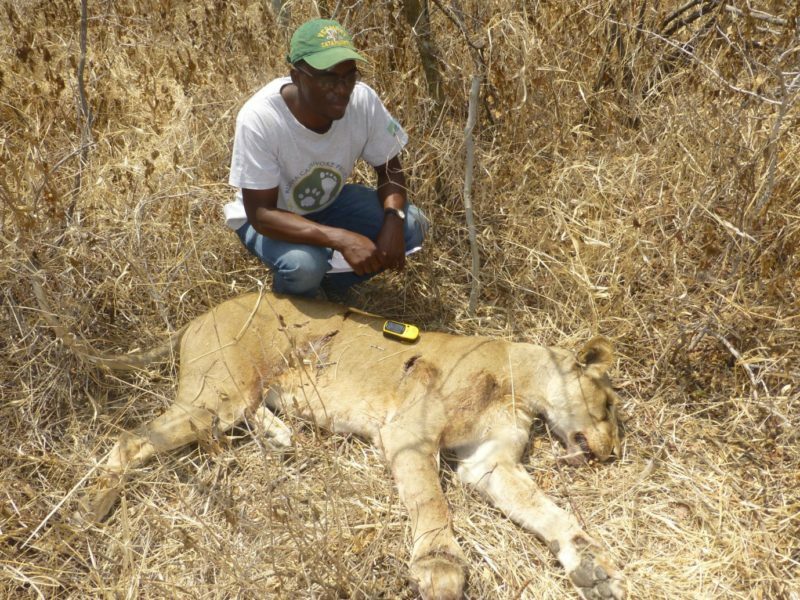 Our ecological research has led to the first scientific data and publications on Ruaha’s carnivore populations, and has provided vital information for future conservation planning. The majority of our work focuses on improving human-wildlife coexistence – we reduce carnivore attacks on livestock by fortifying livestock enclosures, place specialised Anatolian Shepherd guarding dogs in partnership with the Cheetah Conservation Fund, and train local people in best-practice livestock protection methods. These approaches have been very successful, and have reduced carnivore attacks by over 60% in target households. While these initiatives have led to a significant decline in attacks, reduced costs will never be enough to incentivise conservation – local people need to see long-term tangible and relevant benefits which are directly linked to wildlife presence. Therefore, we have developed significant community-led benefit initiatives directly linked to wildlife presence, particularly focused (as requested by the villagers) on education, healthcare and veterinary medicine. We have developed numerous benefit initiatives, including our ‘Kids 4 Cats’ school twinning to provide primary schools with basic equipment, the ‘porridge project’, which enables schoolchildren to have at least one good meal a day, the ‘Simba Scholarships’, where promising pastoralist students can complete secondary school, a healthcare initiative where we have provided vital equipment to local clinics, and a veterinary initiative where we have provided local access to high-quality veterinary medicines, so that people can reduce livestock losses to disease. Although all focal villages receive valuable benefits, we developed an innovative model of community camera-trapping, where local villagers are trained and employed in wildlife monitoring, and villages that demonstrate the presence of more wildlife receive significant additional benefits. The villagers have the power to control how they manage their wildlife, so by taking actions – whether protecting habitat, reducing poisoning or removing snares – they can improve the status of their wildlife populations and substantially increase the benefits received by their village, with wide-ranging benefits for both people and wildlife. 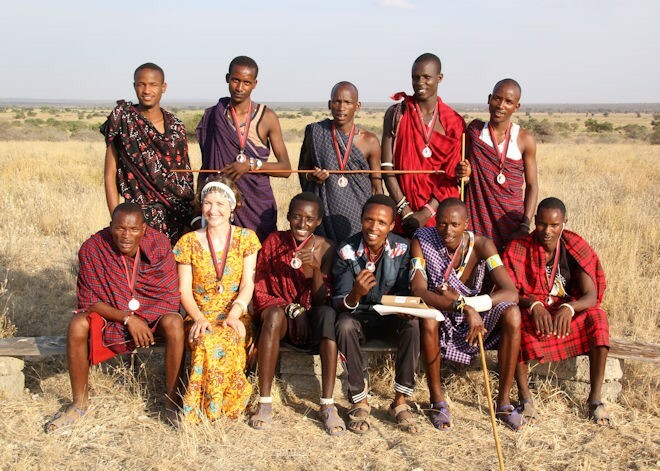 We have also worked with Lion Guardians and Panthera to develop our Lion Defenders model: a culturally sensitive initiative where local warriors are engaged in lion conservation rather than lion killing. This has been extremely important, as cultural lion killing was a major threat in this area, and the Lion Defenders work has successfully prevented dozens of lion hunts. We also provide extensive conservation-related education, mainly through wildlife film nights and Park trips. This provides people with a better understanding of the global significance of Ruaha’s wildlife populations, and enables villagers to see wildlife in a different light, and have positive experiences with potentially dangerous wildlife, often for the first time. The project has now expanded to a team of over 60 people (mainly local Tanzanians) working to understand and secure Ruaha’s critically important large carnivore populations. The project is still based on village land, in the same spot in Kitisi outside Ruaha National Park where it started, but we now have slightly larger tents! We provide regular reports to all our stakeholders, as well as sharing information on Facebook and other social media. We have charitable status under the University of Oxford, 501(c)3 status in the US through Americans for Oxford (the North American Office of Oxford University), and our financials are audited through the University of Oxford. We have significantly reduced human-carnivore conflict in the core study area – carnivore killing in the core area has reduced by over 80% since 2011. However, given the size of this landscape and its importance for both Tanzanian and global conservation, there is an urgent need to continue and expand our work. We have developed very promising conflict mitigation, ecological and community conservation approaches, and we will continue and expand these innovative approaches at a wider scale in Ruaha, elsewhere in Africa and beyond, in order to generate meaningful benefits for both people and wildlife.